After getting lots of negative reviews about the price of YotaPhone on Flipkart, now they have slashed the price of the phone and now the phone is available for just Rs. 8,999. Initially, this dual screen phone was launched at a price-tag of Rs. 23,499. But, many people were not satisfied at the price. The YotaPhone is powered by a 1.7 GHz quad-core Qualcomm Snapdragon 400 Processor couple with a 2 GB of RAM and 32 GB internal memory.YotaPhone has got a 13 MP rear snapper with LED flash, 2 MP front camera, accelerometer, compass, gyroscope, proximity sensor and ambient light sensors. Connectivity options included in the smartphone are 3G, WiFi, Bluetooth v4.0, GPS and microUSB support. It is backed by an 1,800 mAh battery and runs on outdated Android 4.2.2 Jelly bean OS. 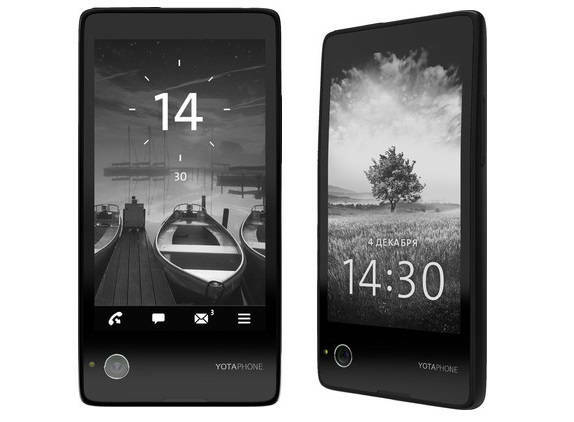 The phone also has special YotaPhone gestures and Put2Back applications for the back screen. The YotaPhone was launched in India in October last year for Rs. 23,499 but then it has got repeated price cuts. Later that year, the price of YotaPhone was slashed to Rs. 17,999, then Rs 12,999 and now the price has reduced further to just Rs 8,999. So, if you are looking for a different type of phone with mid range specs at a very budget friendly price, go for it. The phone is available via Flipkart, which is the only e-commerce site to sell the phone.